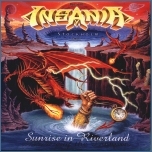 There are at least two bands called Insania. One is from Stockholm, Sweden and the second one from Czech republic. Next text is about the Sweden one, for more information about the Czech one, check out their website. 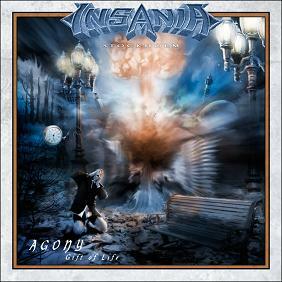 Insania was founded in 1992 by two musicians from Stockholm - Mikko Korsbäck (drums) and Henrik Juhano (guitar). The goal was to write and play music in the vein of Helloween, Gamma Ray and Blind Guardian. Henrik had earlier played in various garage bands. In the band was also bassist Tomas Stolt, who left the band after a short while, to play in with other acts, but returned in 1996 and has been with the band since. Mikko knew a guy from school whose name was Niklas Dahlin, and he became the second guitarist of the band. After keyboardist Patrik Västilä and vocalist David Henriksson from the northern parts of Sweden had joined - (Mikko had earlier handled the vocals, but wanted to concentrate on the drums from now on, since singing had become too tiresome) - the line-up was complete. They released two demos followed by their first studio album in 1999, called World of Ice. It was followed by Sunrise In Riverland one year later. The album was recorded in Finnvox studios with renowned producer Mikko Karmila. After the release, several gigs followed in Sweden. The band has lost and replaced many members over the years. In 2001, after a short tour with Saxon, David Henriksson decided to leave the band and return to his hometown in northern Sweden, since he did not feel any motivation to continue anymore. After a short search, the band found a new and very talented singer in Ola Halén from Nacka. Returning to Finland, the band started recording their third album. 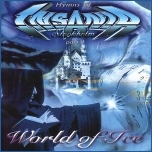 Mikko Karmila was once again recruited for the producing duties, and Fantasy - A New Dimension was released in February 2003 - almost half a year after the recordings. At the end of 2002 keyboardist Patrik Västilä told the band he wanted to quit, to focus on his studies. The band found a new keyboardist in Dimitri Keiski, who was recommended by Ola Halén, who knew him since earlier. 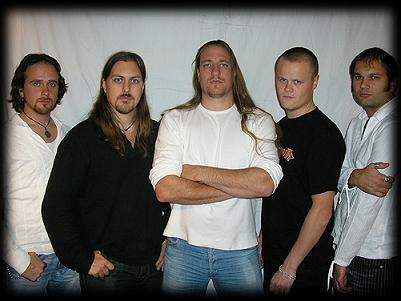 Shortly thereafter, both guitarists Henrik Juhano and Niklas Dahlin left the band for personal reasons. Fortunately, the thirty-one year old Peter Östros from Haninge (a suburb of Stockholm) took their places. It was decided to continue with only one guitarist, so as to give more space to the keyboards. A new demo was recorded between December 2003 and January 2004 with four new songs, showcasing the abilities of the new line-up regarding the composing of songs and the versatility of musical skills. In the summer of 2005, the band signed a record deal with Swedish label Black Lodge (Sound Pollution). The band is currently in preproduction mode for their fourth full length album, heading for the studio in the autumn of 2005, for a spring 2006 release. 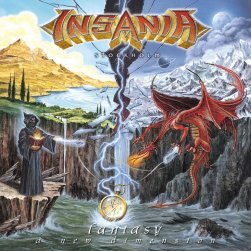 Es gibt auch noch eine Band aus Deutschland mit dem Namen "Insania". Das Album "one more .... one less" wurde 1995 mit Cheesy (vocals), Gary (guitar, bass und keyboards) sowie Wolle (drums) im Delta Studio produziert und bei battery veröffentlicht.